Dr. Myers helps EMS providers up their game and become better clinicians through education and mentoring. He has a 30 year history in emergency services as an EMT, Paramedic, EMS Physician and EMS Medical Director. He has a dynamic style and has a expertise in making the complex concepts simple. Dr. Myers started in EMS in 1988 in the Capital District of New York volunteering for his college ambulance and a local community ambulance service. He began teaching in 1990 and ran the EMT-Basic course in Rensselaer County for several years before leaving to attend medical school. He also served as a Rensselaer County Deputy EMS Coordinator for four years, responding to multi-ambulance and multi-agency incidents. He has worked as a paramedic for paid, combination paid-volunteer and volunteer agencies in urban and rural environments. Dr. Myers attended medical school at the University Of New England College Of Osteopathic Medicine in Biddeford, Maine. While in medical school, he continued to teach. He completed his residency in Emergency Medicine at the University at Buffalo, serving at Chief Resident in his final year of residency. He then completed a two-year EMS Fellowship and a Masters in Educational Technology through the University at Buffalo. He is board certified in Emergency Medicine and sub-board certified in Emergency Medical Services. In 2016, he was part of the inaugural class of EMS Physicians to receive the Fellow of the Association of EMS (FAEMS) designation by the National Association of EMS Physicians. Dr. Myers served on the faculty in the Emergency Medicine residency program for eight years and was the EMS Fellowship Director for four years. During this time, he served as the Associate System EMS Medical Director at the Erie County Medical Center and was an active member of the physician response team. He served as Associate Medical Director for Rural Metro Medical Services of Western New York. In 2010 he was the founding director for the Behling Simulation Center, an interprofessional simulation center at the University at Buffalo. Dr. Myers also served for two years as the System EMS Medical Director for Gaston County, NC EMS. 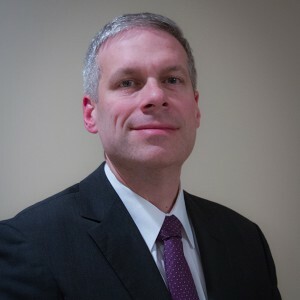 Dr. Myers has authored several articles, books and multimedia publications, including the three-volume Professional Paramedic textbook series and Techniques in Airway Management DVD series. He is currently working on a second edition of the highly acclaimed Professional Paramedic series. He maintains an active paramedic certification in NY and NC and recently became certified as a Prehospital Physician in PA. He is an international lecturer, speaking on a wide variety of clinical, educational, patient safety and provider wellness topics.